It pictures the Sopot Pier (Polish: Molo w Sopocie) – the pier in the city of Sopot, built as a pleasure pier and as a mooring point for cruise boats, first opened in 1827. At 511.5m, the pier is the longest wooden pier in Europe. It stretches into the sea from the middle of Sopot beach which is a popular venue for recreation and health walks (the concentration of iodine at the tip of the pier is twice as high as on land) or public entertainment events, and it also serves as a mooring point for cruise boats and water taxis. It is also an excellent point for observing the World Sailing Championship, the Baltic Windsurfing Cup and the Sopot Triathlon taking place on the bay. 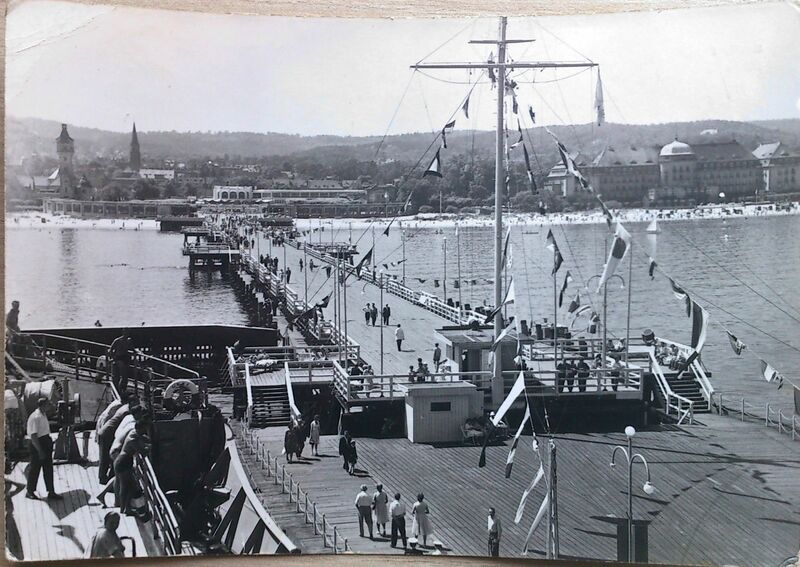 Sopot pier consists of 2 parts: the famous wooden walking jetty and the Spa Square on land, where concerts and festivities are organised.